You can never have too many bags! This is what I thought when I first saw Futuregirl's starling handbag. The very talented Alice from Futuregirl did not only write a tutorial which is available in four languages (English, French, German, Italian), she also did video tutorials (very helpful) and a tutorial for sewing a lining into the bag!!! 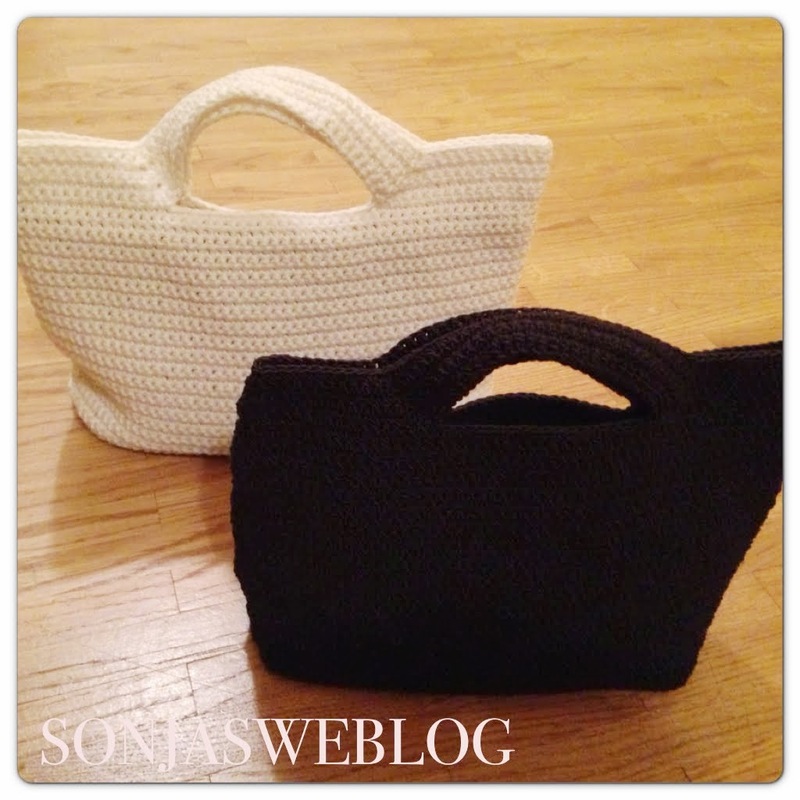 I crocheted the bag with soft cotton yarn (Lana Grossa Linea Pura) and thanks to the video tutorials I learned some new techniques. The lining part was not easy for me, as I don't have a sewing machine and generally don't like sewing much. So it took me quite a while to finish the whole bag. 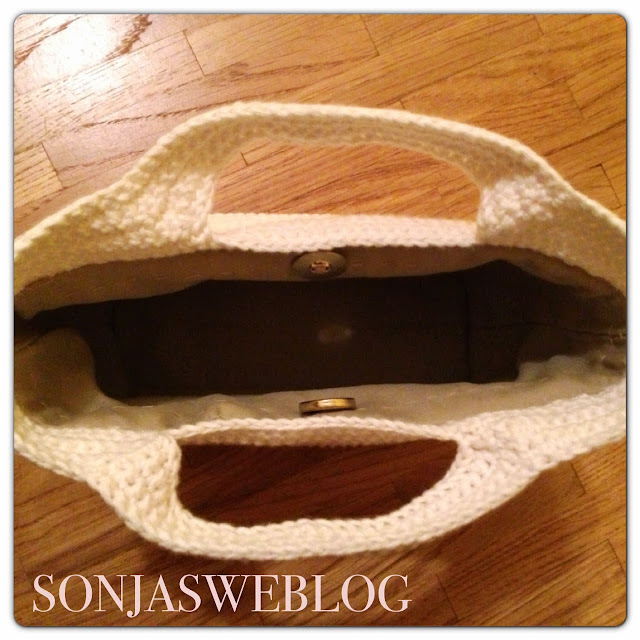 But the lining improved the quality of the bag, as the cotton yarn is so soft the bag can't keep its shape by itself. I also added a magnetic button. Well, before I did the lining part I crocheted a second starling bag with black yarn (Lana Grossa Secondo). This yarn is a bit thinner so the bag is a bit smaller than the beige one, but stability is much better. So the black bag will be used without lining! 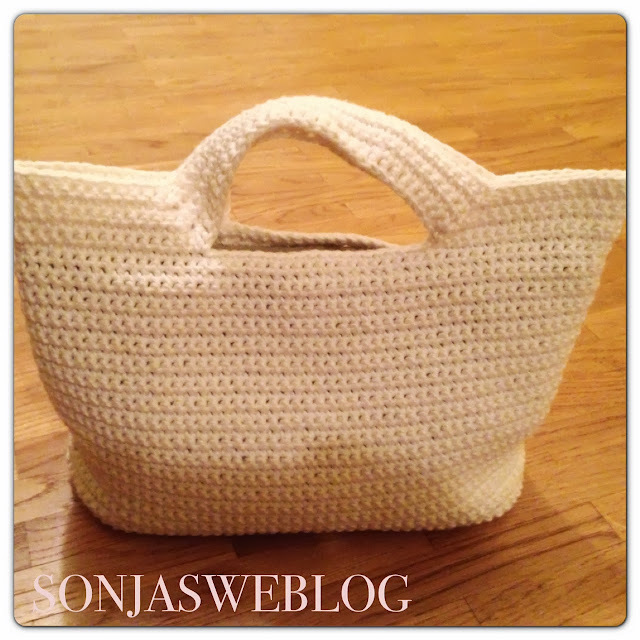 If you are looking for ideas to crochet a bag have a look at this website and here. Jessica from Schoenstricken collected lots of fabulous ideas within blogland. Have fun!